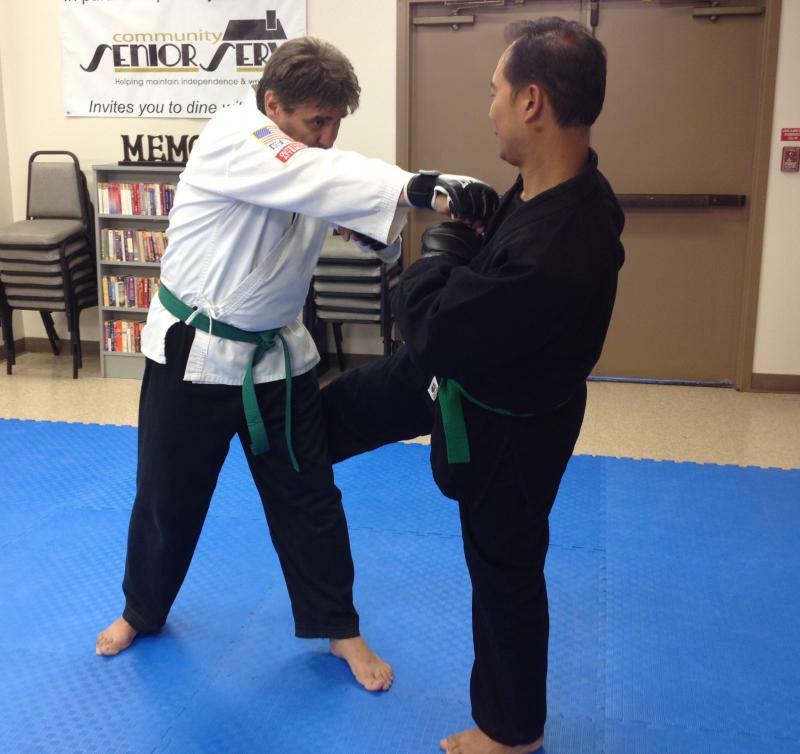 At the Orange County Martial Arts Center we provide training in Traditional Mixed Martial Arts based upon the principles of Kuk Sool-Hapkido and traditional combat-style Taekwondo/Korean Karate. Our curriculum is based on addressing the three main areas of combat: Striking, Grappling, and Throwing/Takedowns. 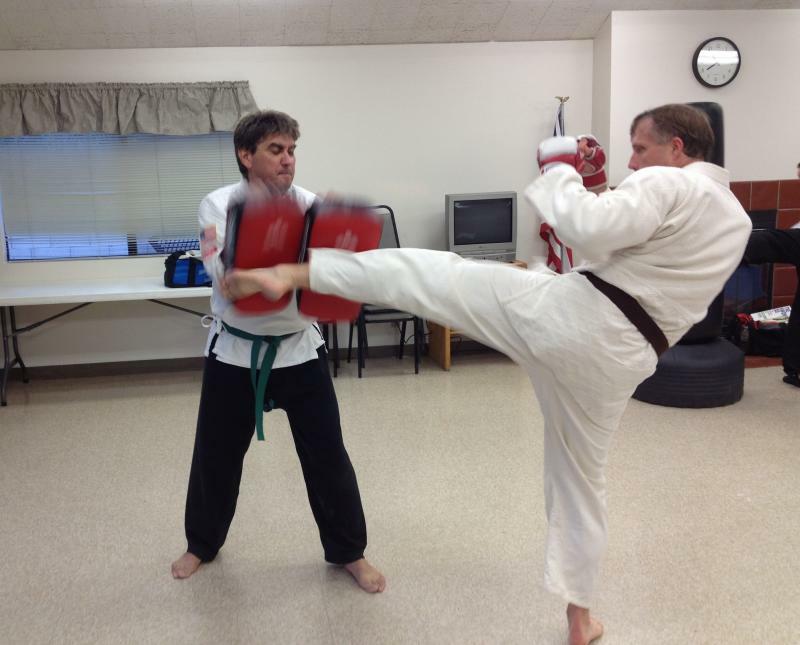 To augment our training curriculum we also incorporate many techniques and theories drawn from Freestyle Grappling, Karate, Kempo, and Kickboxing among others. Classes consist of conditioning, technical instruction, application drilling, sparring and stretching. Traditional Mixed Martial Arts is an method of training which retains traditional elements of various martial art & self-defense methods and combines them with the modern applications and integrated theories of Mixed Martial Arts. It should be pointed out that Mixed Martial Arts (MMA) is a sport – Traditional Mixed Martial Arts is geared towards comprehensive self defense rather than having a sporting focus. The sport of MMA includes rules, regulations and safety measure in order to protect the health & safety and lower the level of danger to its participants. The raw application of Mixed Martial Arts in a self-defense combative scenario doesn’t include rules, regulations or safety measures between combatants. The underlying concept of MMA could not exist without the features of Traditional Martial Arts. In the sport’s infancy, the idea of one style versus another was the main concept. As the sport evolved, so to did the athletes, and in the end they were forced to integrate various forms of differing martial art disciplines within their training in order to remain competitive. After the evolutions of the sport and the application of martial-style cross-training, it is now about the better fighter applying the best technique for a given scenario. Luckily, it has shifted the paradigm of pitting one style of martial art versus the other, and has also evolved many Traditional Martial Artists as well into thinking about their skills in a different way. Copyright 2012 Orange County Martial Arts Center. All rights reserved.